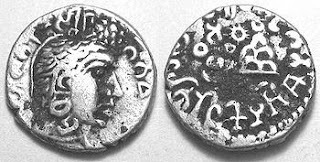 The Satavahanas were the political successors of the Mauryas in the Deccan and their rule lasted for four and a half centuries from about 230 B.C. their empire seems to have extended from the Konkan Coast in the West to the Godavari and Krishna Deltas in the East, while to the South it must have reached as far as Chandravalli. Where is this claim made? If we search the various sources. We can see this claim comes only with reference to Puranas.Those who claim Satavahana as Andhra’s cite the Puranas as the only source. Let us see the various Puranas. 1. No where in the Puranas Satavahana’s is mentioned. 2. No where we have any references to Satavahana kings. So what does the purana’s tell? All this is supposedly to refer to King Simuka who established Satavahana dynasty. 1.Sisuka (Chimuka)-23 years, 2.Krishna-18 yrs, 3.Sri Mallakarni (Satakarni I)-10yrs, 4.Purnotsanga-18 yrs, 5.Skandhastambhi-18 yrs, 6.Satakarni (Satakarni II)-56 yrs, 7.Lambodara-18 yrs, 8.Apilaka-12 yrs, Meghasvati-18yrs, 0.Svati-18 yrs, 11.Skanasvati 7 rs, 12.Mrgendra Svatikarna-3yrs, 13.Kuntala Svatikarna 8 yrs, 14.Svatikarna-1 yr, 15.Pulumavi (Pulumavi I)-36 yrs, 16.Riktavarna-25 yrs, 17.Hala-5 yrs, 18.Mandalaka-5 yrs, 19.Purindrasena-5 yrs, 20.Sundara Satakrna-1 yr, 21.Chakora Svatikarna-6 months,22.Sivasvati-28 yrs,23.Gautamiputra Satakarni-21 yrs,24.Pulumavi(Pulumavi II)28 yrs,25.Sivasri-7 yrs,26.Sivaskanda Satakarni-7 yrs,27.Yajnasri Satakarni-29 yrs,28.Vijaya-6 yrs,29.Chandasri Satakarna-10 yrs, and 30.Pulumavi(Pulumavi III). Chimuka, Krishna, Satakarni I, Satakarni II, Sata, Apilaka, Hala, Gautamiputra Satakarni, Vasistiputra Sri Pulumavi, Vasistiputra Sivasri Satakarni, Vasistiputra Satakarni, Sivasri Pulumavi, Skanda Satakarni, Gautamiputra Yajna Satakarni, Vijaya Satakarni, Vasishtiputra Chandra Satakarni, Pulumavi, Kausikiputra Satakarni, Saka Satakarni, Rudra Satakarni, Kumba Satakarni and Karna Satakarni. Let us see when the purana’s are written? Puranas were written between 300AD to 1000AD. A difference of around 500 years, significant time for discrepancies to creep in. which is why it misses out on many names and many characteristics of Satavahana’s. The reason why they were Andhra’s has crept in. Some writers like V.S. 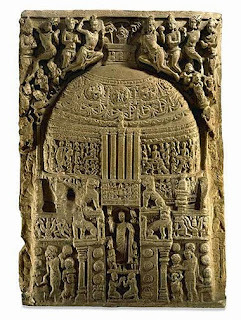 Sukthankar, H. C. Raychaudhury and K. P. Jayaswal have not accepted the identification of Satavahanas with the Andhras.They have argued that the inscriptions mention these rulers as Satavahanas and not as Andhra’s, and that the language of the inscriptions is Prakrit and not Andhra. 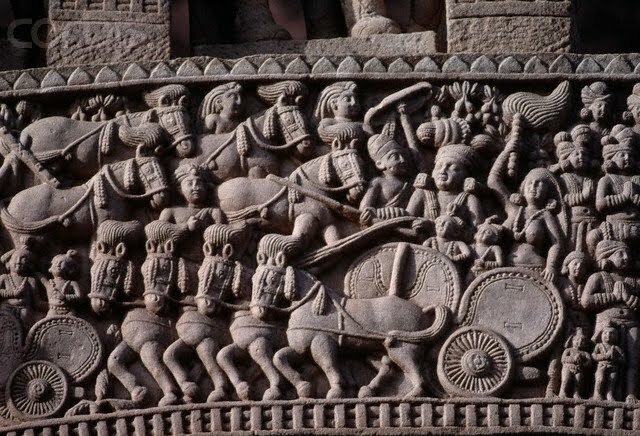 Moreover, the early evidences of the Satavahanas rule are not found in Maharashtra, and they might only have drifted into Andhradesa towards the end of their rule. Some of these kings are not listed in the Puranas. It may be relevant to note that except for Chimuka no other Satavahana king called himself as Satavahana. 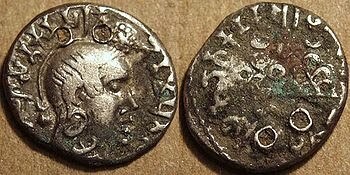 Most others called themselves as Satakarnis or Pulumavis after their great early rulers of that name. No purana ever mentioned a king by the name as Satavahana or Sadavahana. Let us see other evidences. You can see none them refer them as Andhra’s, only in purana’s you can see Andhra Tag that is also not to the same names. So we can clearly see Satavahana’s are not Andhra’s. So if they are not Andhra’s who are they? Satakarni’s ruled Andhra, but chutu’s are called Kannada rulers. 3.Kuntala Satakarni denotes the king is from kuntala not Andhra. In ancient times the areas south of the Godavari river including southern districts of modern Maharashtra, northern districts of modern Karnataka and south Karnataka districts of Shimoga and Chitradurga were collectively called Kuntala. An inscriptional passage the upper valley of the Krishna points to this theory [Ep. Ind., Vol. XII, p. 153. See Mirashi, Studies in Indology,]. In the Sanskrit work Udayasundarikatha of Soddhala (11th cent. A.D.) Pratishthana on the Godavari is said to be the capital of the Kuntala country. In early times Kuntala was probably included in the larger country called Maharashtra. The Aihole inscription of Pulakeshi II includes all these areas mentioned in Kuntala as Maharashtra. This designation of the entire area seems to be confirmed in Chinese notes as well. During these times, Kuntala came to denote the predominantly Kannada-speaking country, further corroborating views of historians such as Dr. Altekar and Dr. P.B. Desai. The Early Chalukyas of Badami and the Later Chalukyas of Kalyani were known as Kuntaleshvaras or lords of Kuntala. 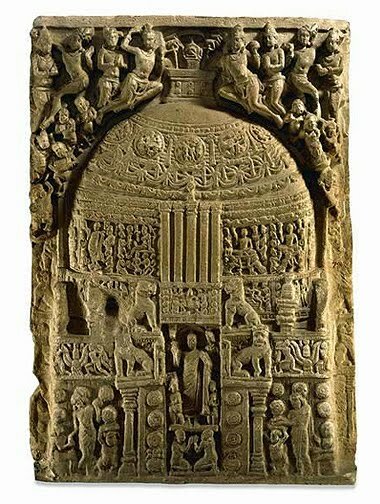 All their inscriptions are in Kannada and Sanskrit and their regal capitals at different times, Badami, Manyakheta(Malkhed in Gulbarga district) and Kalyani were also in present day Karnataka, which historically would be southern Kuntala. During these times however, the districts of Kolhapur, Satara, Sholapur, Ahmadnagar and Bid which are now Marathi-speaking, were included in Kuntala, indicating that Kannada country spread much further north of today's political boundaries. The Kannada classic Kavirajamarga calls the entire region between the Godavari and Kaveri rivers as Karnataka indicating Kannada country at one time extended far north and east of present day boundaries. Perhaps this was the region that embraced Hale Kannada as the official language. It is well known that during these times, Kannada and Telugu were written in Hale Kannada script. 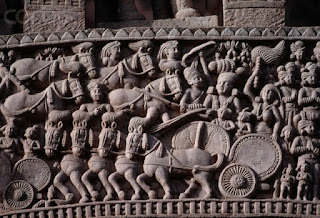 The Early Rashtrakuta, who were ruling over this territory as feudatory of the Chalukyas, were known as Kuntaleshvaras as well and their inscriptions call their overlords at that time as Karnataka Bala. 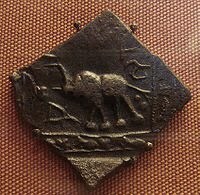 Much later their imperial empire would rule large parts of India from regal capital Manyakheta in present day Karnataka, though as their empire grew they had many provincial capitals. TQ u for a such a information sir pls tell it to Wikipedia.